Elias Range. 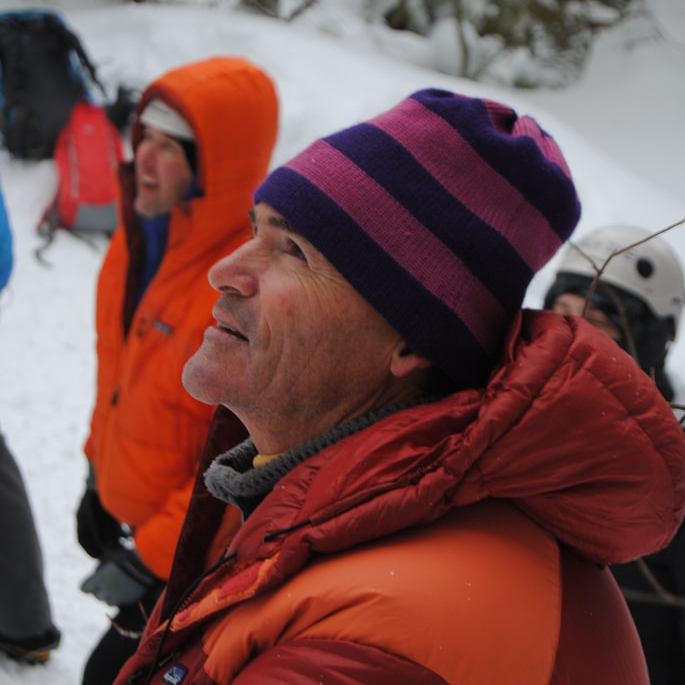 Although he has participated in sport climbing and ice-climbing events, Mark is considered a staunch traditionalist when it comes to the style and ethics of climbing. “Whatever that means these days,” he jokes. “I just like to climb. I just love climbing.” Mark will be won’t be presenting this year be he will be instructing for us again this year- we are lucky to have him back! We are thankful to longtime sponsor La Sportiva for sending Mark.